Thousands of protesters gathered in downtown Montreal on Sunday to protest the Quebec government’s Bill 21 — a proposed law that would ban some public employees from wearing symbols of their faith. Thousands of protesters gathered in downtown Montreal on Sunday afternoon to protest the Quebec government's Bill 21 — proposed legislation that would ban some public employees from wearing symbols of their faith. "Quebec is not France, long live the difference!" protesters chanted in French while clapping their hands and cheering. Sunday's protest is the latest of several events organized since the bill was tabled in late March. 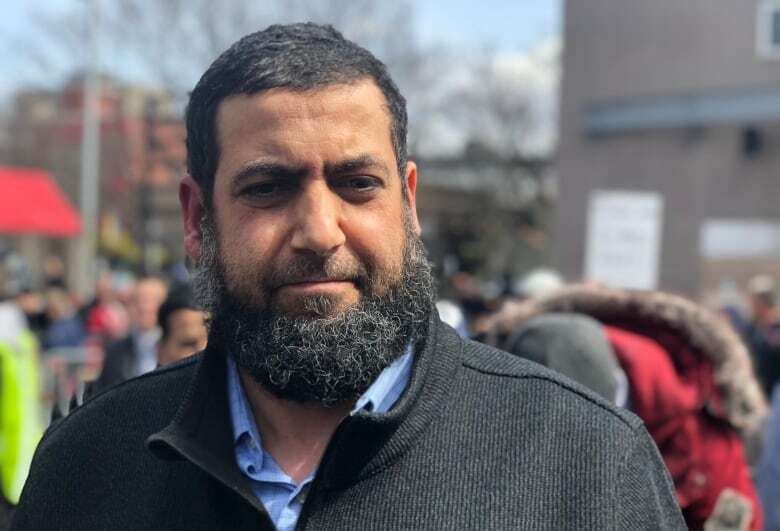 "I am here to protest Bill 21 — a law that is racist and Islamophobic," he said. 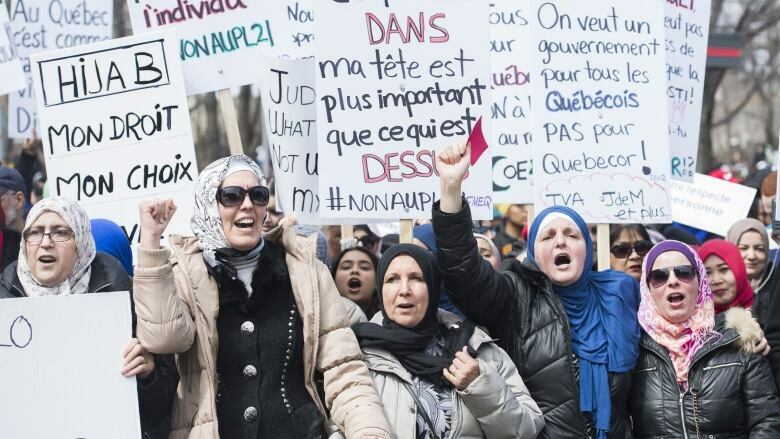 The text of Bill 21 states that Quebec "attaches importance to the equality of women and men" — an apparent reference to the concern expressed by some people that the hijab, the headscarf worn by some Muslim women, and the niqab, a Muslim veil, are symbols of female inferiority. "We need to fight for the rights of women to choose," said El-Amari. "We're in a free and democratic country and everyone must have the right to wear what they want." He said it's not for the government to force a Muslim woman to wear or remove a garment. He says Bill 21 goes against Quebecers' "fundamental rights," and targets minority groups. "The issue is urban versus rural," he said. "Who voted for the [Coalition Avenir Québec]? People that live in rural areas. People in urban areas are OK with diversity." Everyone has freedom of religion, she said, and every person's religion should be respected. Samira Amoui said she doesn't agree with the proposed bill, even if it wouldn't affect her own career path. "We have the right to work and choose where we want to work," she said. "We are all the same."